Sophomore Ross Travis stood on the Bryce Jordan Center court with a manager before practice Monday throwing up shot after shot. Despite the occasional miss, Travis' shot repeated the same rhythm for several minutes as his teammates joined him on the court. As the sounds of Jay-Z's Black Album played on a boom box next to the court, Travis' teammates followed suit, hitting shots and banking in layups. You would have never known that the Nittany Lions were coming off of their second straight game of having shot less than 32 percent from the field. It's a cruel statistic that isn't entirely lost on second-year coach Patrick Chambers. "They're shooting the ball fine [in practice]," Chambers said Monday, shaking his head. "We're shooting the ball fine. We do the best job we can to simulate a game in practice, but the fact of the matter is there are three referees, thousands of fans, and a lot of talent out there. We went from playing Indiana to a Northwestern style team to a rugged battle against Purdue. That's a heck of a week." Moving forward for Penn State, there is only so much Chambers can truly do to right the ship. The majority of the Nittany Lions' shots are coming when they want them, and they will either fall or they won't. It's the sickening reality of the game of basketball that it can come down to something so simple. "You sit at home late at night and draw up all kinds of different plays," Chambers said. "And then you wake up in the morning and go, 'Why? For what?' As long as we're getting good shots, good layups, getting open shots, we've just got to do a better job slowing down and shooting with confidence. "I went back and watched the breakdowns, watched the offense, I'm not changing anything, we got good shots, we got good post-ups, we got layups, we got 15-footers, we got good matchups. We have two games here at home and hopefully the guys can start to see their shots fall through the basket." If there is any hope for the remainder of the season, it's that Penn State has managed to hang with all four Big Ten opponents in other critical statistical categories. Where a team may find itself struggling to rebound or defend, it is a sign that Penn State may not be as far off from winning as it may seem. While it's something that might seem trivial with an 0-4 conference record, it's something that is keeping the morale up as the season drags on. "We're missing open shots," guard DJ Newbill said. "You can't win on the road missing point-blank shots. We've got to keep playing hard and defending and rebounding and we'll be fine. We've got great leaders on this team, everybody is doing a good job keeping the morale up. As coach said before the Big Ten season started, our highs can't be too high and our lows can't be too low. We gotta come back and work hard every day and things are gonna work out for us." "I forget who jumped in," Brandon Taylor said about a 7:20 a.m. pool party the morning of the Purdue game. "But one of the coaches jumped in and wanted us to join him so we jumped in after him. Coach wants us to stay relaxed, he doesn't want there to be so much pressure. He wants us to play and be free." Added Chambers: "It's like a golfer who is squeezing the golf club. We're squeezing it a little bit right now, or a baseball batter who has blisters on his hands because he's just squeezing it. We've just got to relax a little bit and let the game come to us." 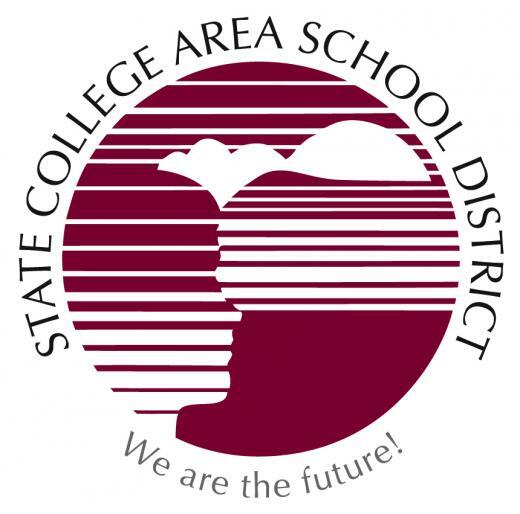 The State College Area School Board of Directors voted to accept the district's appointed fact-finder's recommendations regarding the State College Area Education Association Collective Bargaining Agreement Monday night.